I remember the first time I got a parking ticket. I basically thought my life was over. It's dramatic, I know. But I had never gotten any type of ticket before and the thought of breaking the rules just killed me. In the end, it was obviously fine, but I was way more careful about parking from then on. Parking rules exist for a reason, and it's usually a safety issue. Emergency vehicles need to be able to access every area, and they can't very well do that if there's a car parked there. But here's the thing...what if the car blocking the route of the emergency vehicle is an emergency vehicle? A parking attendant had to make this tough call outside a Tesco in the UK after an ambulance parked in front of the grocery store. The rig was parked on the double yellow lines while the paramedics went inside to get some food and water. The attendant came over and gave the ambulance a ticket for parking illegally, which caused a lot of controversy. "So you are giving a ticket to an ambulance that is on call... they were on call, if their radio goes they have to go," said one bystander. "Where are the sirens? Where are the sirens?" the attendant asked. "They are getting some food, so they are not on call are they?" This went over as well as a lead balloon. At one point, the paramedic comes out and tries to talk to the attendant. "Where would you like me to park? I'm not being funny, I'm not going to use a disabled space," she said. "So where would you like me to park?I've been on since 6:45 am this morning, I've had nothing to drink, nothing to eat. And now I'd like to go to Tesco to get some water." The attendant said she should have parked in "the bay," but the paramedic points out that the ambulance won't fit. In the end, the paramedic walked away saying, "If you ever need an ambulance..."
The parking ticket sparked a conversation about who was in the wrong here. Was it the paramedic, who illegally parked while not on a call? Or was it the parking attendant, who should have known that emergency vehicles are allowed to park on double yellow lines if it is safe to do so, as long as they leave as soon as possible? "Emergency services are not above the law unless they are actively responding," one person said. 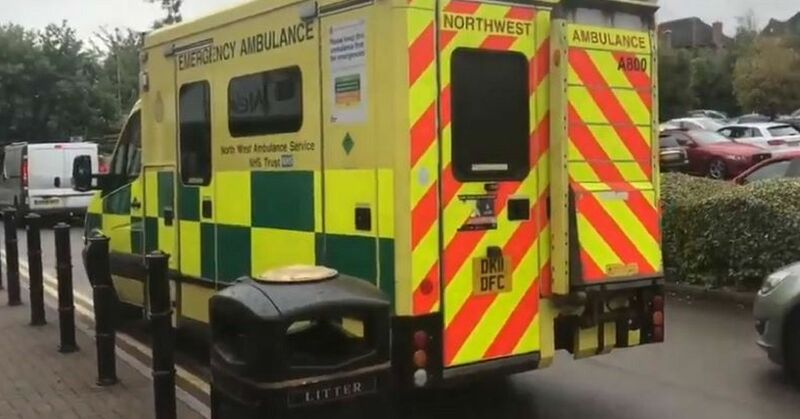 "No the guy is in right the ambulance is parked on double yellow lines there not answering an emergency call & just parking there because there an ambulance this happens way to often"
Absolutely agree. Emergency services need to obey the law - even more so as they are role models for the rest of us. If not responding to an emergency, must park legally. However, I understand ambulances don’t fit into normal spaces, so where do they park? Ambulances are permitted to take uo two spaces if necessary. They arent permitted to park wherever they want though. Unless they are on an emergency call. If inside the shop treating a patient, there would not be an offence. However, for going shopping, the ambulance must be legally parked. The parking attendant was doing his job correctly as the ambulance was parked obstructively. I don't know if he's allowed to use discretion. It's not on an emergency call so why should it get preferential treatment? 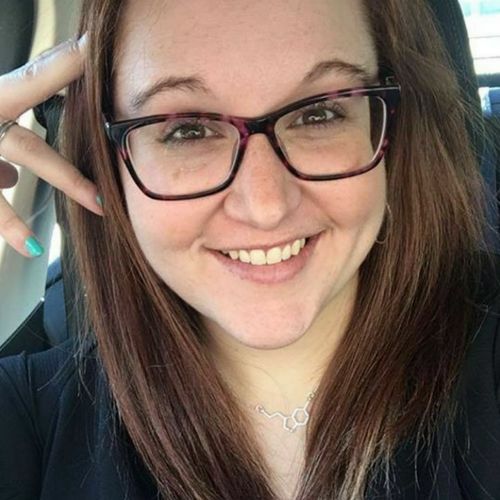 Double the fine, she should know better. Not on a call does not mean off-duty. Off-duty is when you are not being paid for your time. They are working their shift, so they are on-duty. Emergency services should not be ticketed for this, we need them to be able to eat and drink as quickly as possible to continue the good work. Sadly lots of pond scum in our society will disagree. First responders go through so much stress for the community that there in. Wether or not they are responding to an emergency or grabbing a bite to eat, worrying about parking should be the last thing on their mind. They deserve better! Yes, for shame. Need to give our emergency service providers more respect than that. London and Cambridge Services (LCP), who owns the car park outside the Tesco, commented on the situation that transpired. As owners of Kingsmead Square, in Northwich, we are of course very disappointed to see that members of the emergency services have had an issue with a parking officer. LCP supports all of our emergency services, and their staff and vehicles are regular visitors to our shopping centres and retail parades across the UK, where they are always welcome. We employ Euro Parking Services (EPS) to manage the parking at Kingsmead Square to ensure that everyone that wants to shop can do so without any unnecessary hindrance while using the car park. On this occasion, we do not agree with the parking officer’s interpretation of the parking restrictions relating to emergency vehicles. A full review of the EPS contract will be undertaken at this site. In the meantime all enforcement and patrols at Kingsmead Square have been stopped and EPS will not be visiting site again pending completion of the review. A spokesperson for North West Ambulance also released a statement on the matter. We are aware of the video circulating on social media showing a traffic warden issuing a ticket to one of our ambulance crews in Kingsmead, Cheshire. As yet, we have not received notification of a parking fine and should we do so, it will be dealt with through the usual process. Who do you think was in the wrong here?